Registration is now open for the second annual Simcoe County Loop Trail, a one day epic tour on September 8th, 2018. Challenge yourself on the unique 160 kilometre off-road loop in one day. Riders will travel from Barrie to Georgian Bay, across to Lake Couchiching and along the shoreline of Lake Simcoe as they head back to Barrie. In 2017, the County of Simcoe partnered with nine municipalities to link and sign a series of abandoned rail lines that have been retrofitted in to multi-use rail trails. Each section of trail offers it's own charm - from packed dirt to crushed limestone, and of course the famous Tay Shore Trail which is a 20 km paved trail, following the Georgian Bay coastline. The Simcoe County Loop Trail is truly a one of a kind experience. On September 8th, event organizer Brendan Matheson, in partnership with Cycle Simcoe and the Barrie Cycling Club, will host a one day epic tour of the loop. "The riders' only concern will be getting from A to B, everything else is taken care of," says Brendan. Participants can look forward to multiple rest stops along the trail and a patio lunch at the Boat House restaurant in Midland. And, of course, the 'I rode the 160 KM Simcoe County Loop Trail' t-shirt upon completing the ride. Registration is now open. However, space is limited to 60 people so don't wait until the last minute to sign up! 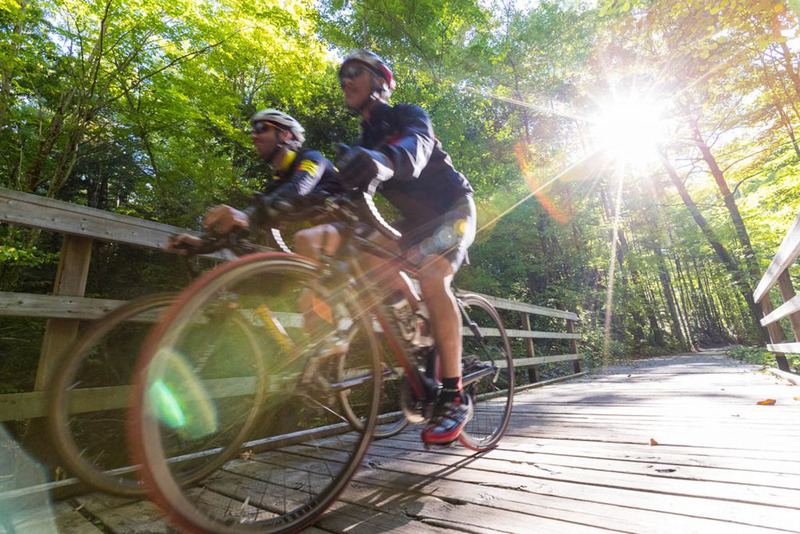 To register and learn more, visit cyclesimcoe.ca/event/looptrail.